enjoy the sea breeze, in complete tranquility. 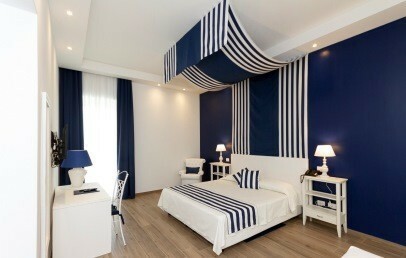 It is also recommended to design enthusiasts, who will appreciate the marine style. 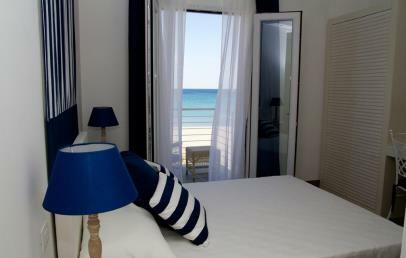 Hotel Nautilus is located in southern Sardinia, facing Poetto beach – Cagliari’s ‘home beach’, just a 5-10 minute car drive from the city’s atmospheric historic centre. 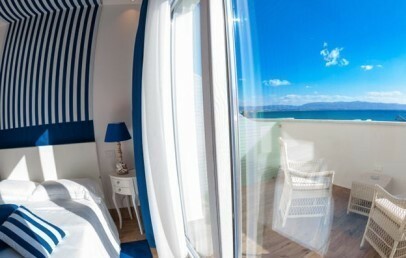 Its position is exceptional year round – guests can enjoy the sea and nature while also exploring the island’s capital city and its main attractions. The Hotel Nautilus is fronted by a long promenade for pedestrian and cyclists, much frequented year round, with lidos, bars and restaurants. Within easy reach on foot are newsagents, pharmacies, a playground and amusement centre and the tourist port of Marina Piccola. Other nearby amenities include a horse riding centre and the Regional Nature Park of Molentargius Saline, a vast wetland home to the graceful pink flamingos. 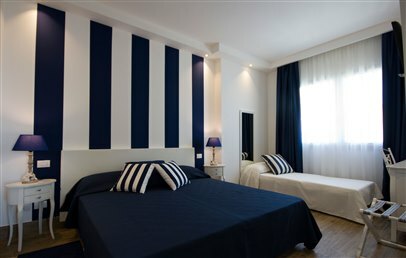 The hotel is a mere 20 minutes’ drive from Cagliari Elmas International Airport and a mere 10 minutes’ drive from the city port. 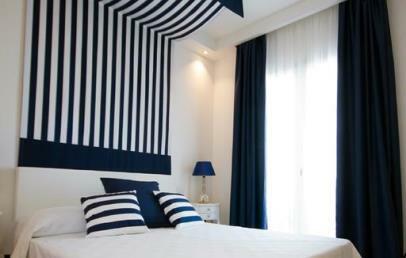 The Nautilus is a brand new, stylishly designed boutique hotel, favouring colours recalling the sea. Surrounded by green lawns, it offers large, luminous spaces and a full range of comforts for a relaxing stay by the sea in Sardinia. The hotel consists of two villas: a main one with the reception and a second one located about twenty meters away, within the same garden. 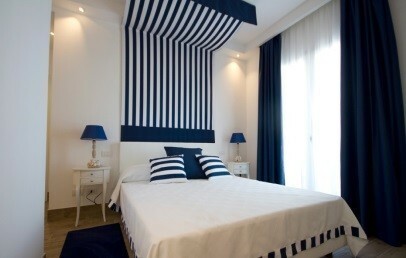 The 26 Hotel’s rooms are stylishly furnished and offer a view over the Gulf of Cagliari or the hotel gardens. 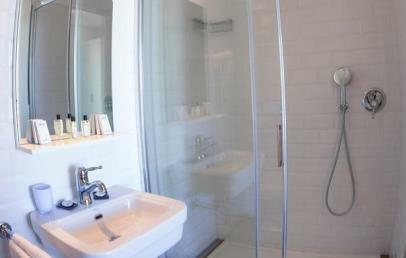 All have en-suite bathrooms with shower and hair dryer, air-conditioning, safe, SMART and SKY TV, minibar and free Internet Wi-Fi connection. 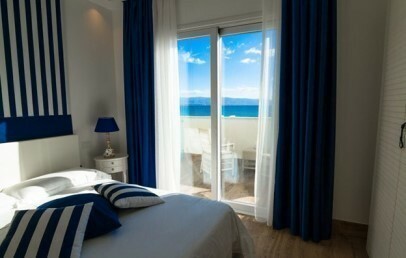 Some rooms also have a balcony with sea view. 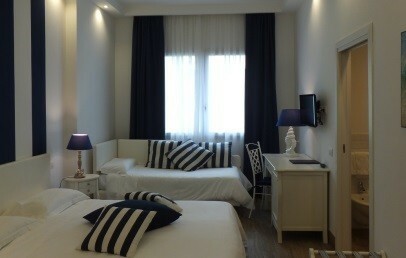 The rooms are spread over the two villas that compose the hotel. Starting from the famous Sella del Diavolo (Devil’s Saddle) promontory and the tourist port of Marina Piccola set at its foot, Poetto beach stretches for 8 km towards the south-eastern coast. With medium-grained sand, it includes large free beach areas with a full range of services. If you prefer greater comfort, you can rent a beach umbrella and sun loungers at one of the many beach lidos. Free internet Wi-Fi connection is available throughout the Hotel. Moreover bikes are available free of charge (subject to availability) to ride along the 8 km long cycle path along the sea and/or in the natural park "Molentargius" to discover the rose flamingos and fauna & flora. Optional services with charge include room bar and breakfast service, use of fax and photocopier, and bookable tours and excursions. 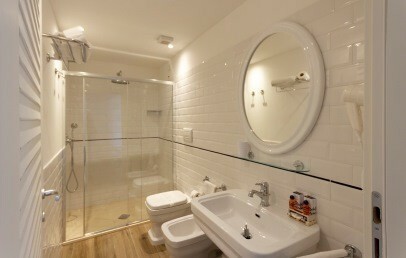 Stylishly furnished double room with en-suite bathroom with shower and hairdryer, air conditioning, safe, SMART and Sky TV, minibar and free Wi-Fi internet connection. Stylishly furnished double room with en-suite bathroom with shower and hairdryer, AC, safe, SMART, Sky TV, minibar and free Wi-Fi internet connection. Some rooms have a balcony with sea view. Stylishly furnished double room with en-suite bathroom, hairdryer, AC, safe, SMART, Sky TV, minibar and free Wi-Fi internet connection. Stylishly furnished double room with en-suite bathroom, hairdryer, AC, safe, SMART, Sky TV, minibar and free Wi-Fi internet connection. In the private garden there is a Jacuzzi for exclusive use. 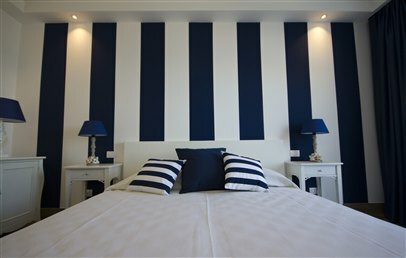 Stylishly furnished double room with en-suite bathroom, hairdryer, AC, safe, SMART, Sky TV, minibar and free Wi-Fi internet connection. Sea view. 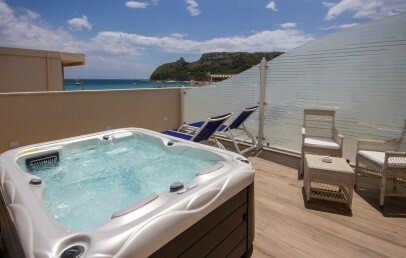 In the private terrace there is a Jacuzzi for exclusive use. 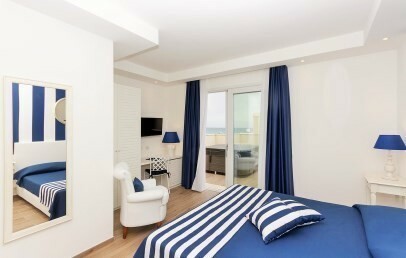 A week at Nautilus: special reduction for a minimum stay of 7 nights!